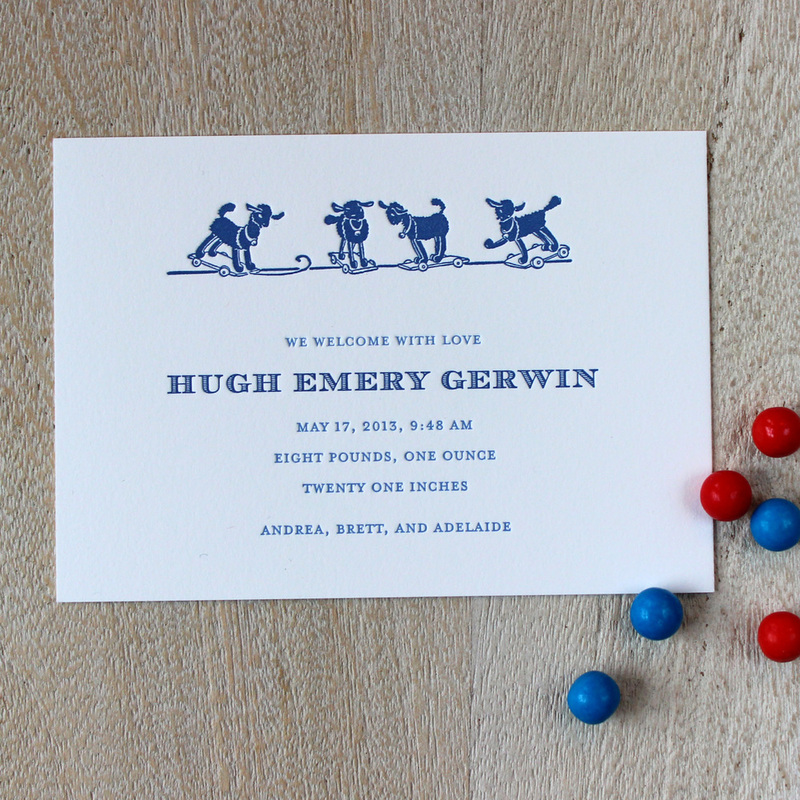 These little lamb toys look so sweet at the top of a letterpress baby announcement. This design is perfect for a springtime birth! We love the combination of light and dark blue for a newborn boy, or pink and orange for a girl. You can line the envelopes in a matching color, as well, to complete the set. The Sesame Letterpress Baby Announcement Collection is a set of original designs created to be customized in a number of ways. 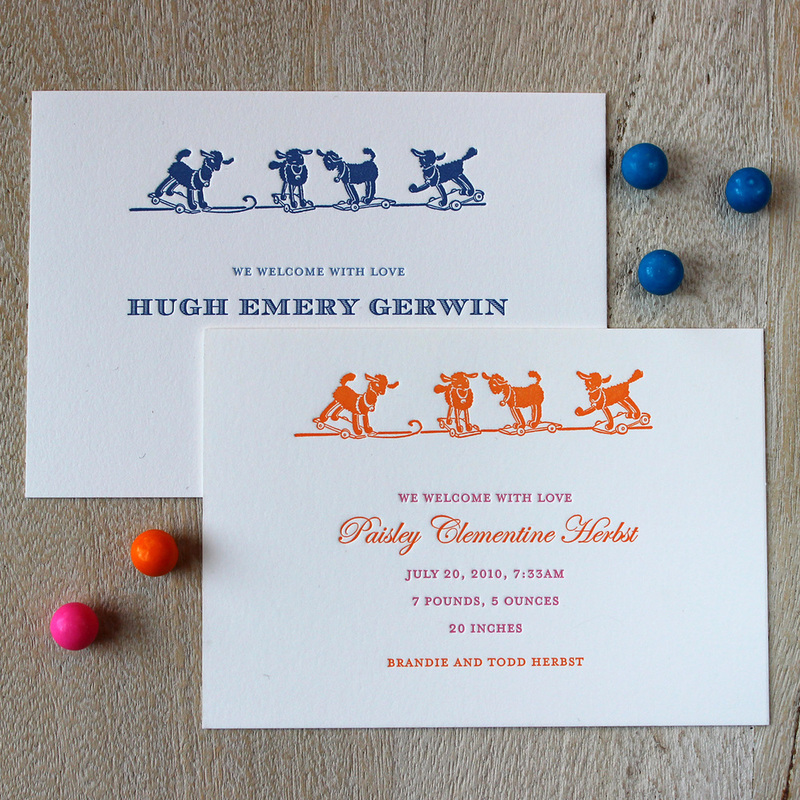 We print onto luxurious 184lb cardstock in your choice of Natural white or Brilliant white. The standard baby announcement dimensions are 4.5″ x 6.25″. You may adjust the colors to your preference, select from our list of typefaces and add finishing touches such as painted edges or lined envelopes. Click the links on the left for these customization options.